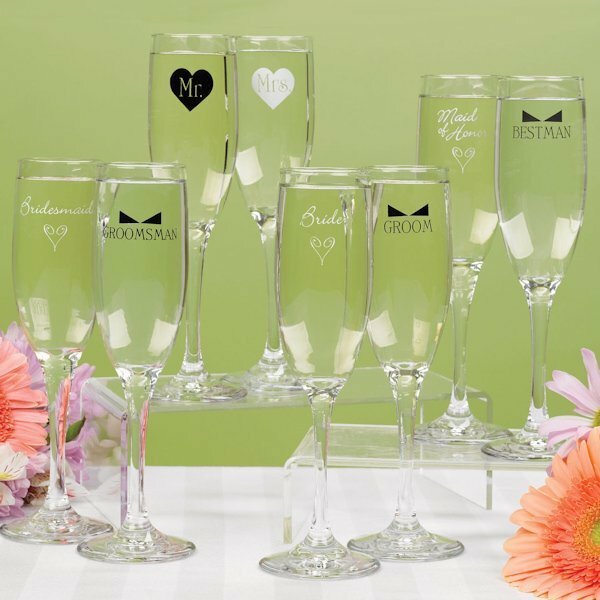 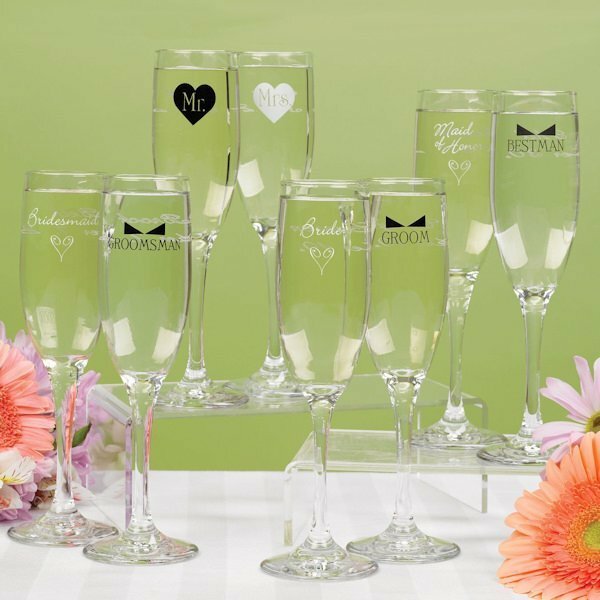 Buy these fun champagne toasting flutes for the entire bridal party (the bridesmaid, groomsman, maid of honor and best man flutes are sold separately)! 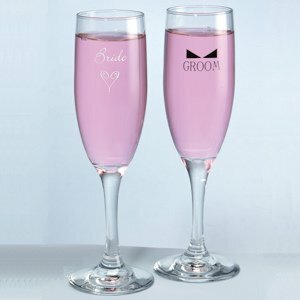 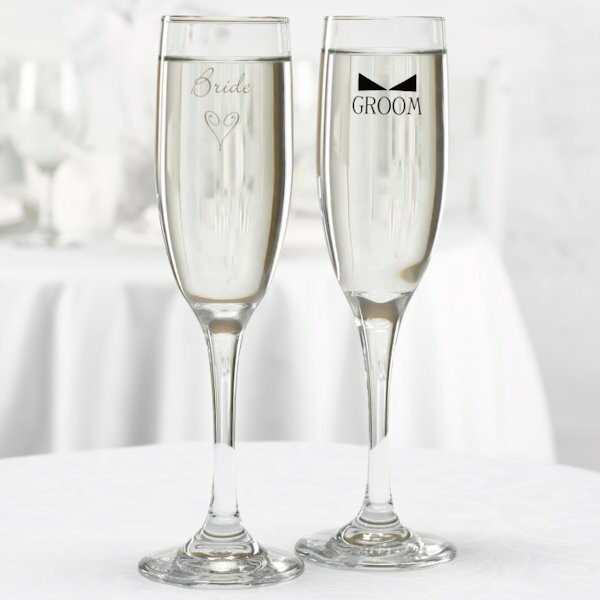 This classic bride and groom champagne flute set has a whimsical Bride with a heart and Groom with a bow tie design. 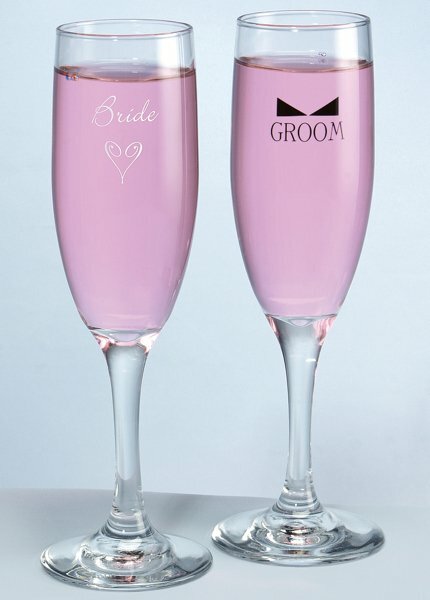 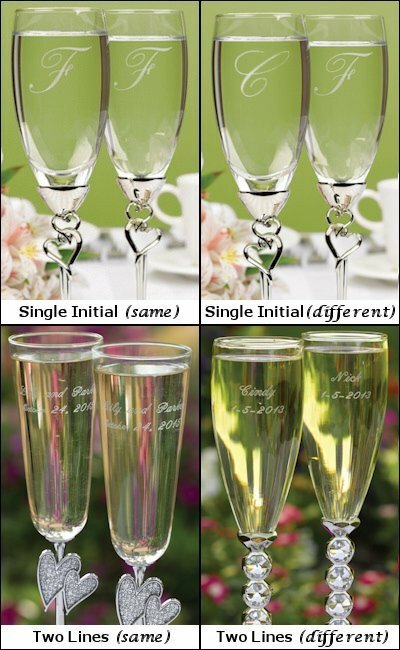 Sold in a set of 2 that stands 8.75" tall.You can optionally personalize these flutes with your names and wedding date to make them extra special.